India- or shall I say the land of God. Everything began and end in India. Walk through the streams of History, and you will realize there is one name that stands apart- India. 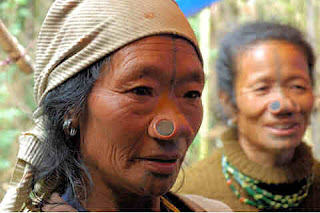 India has seen different dishes of people throughout its glorious past but the most unique and nonpareil of them are the tribes. So, here we are the tribes of India presents India's most visited and unvisited places of great culture and lifestyle of the Indian tribes. Indian Tribes are different. They eat differently, drink differently, enjoy differently and more so dress differently as well. I promise, its a unique experience exploring the tribes in India. Indian tribes are enormous in number. With thousands of them, tribes in India are spread across the country. Start counting from Arunachal Pradesh to The Nicobar, your figures will lose out but, the count never ends. This is the first of many blogs you will get on various types of tribes in India. And I am sure at some point you will fancy coming to many of them.